The Rocket 3 has a very nice look and feel. It's elegantly designed and has a very smooth finish. The silver accents add to the deluxe feel of the device. I went with the red one because, why not! I really dig the color options. When you first pick up your pen, you'll notice the weight. This thing is solid. If you're more into lightweight vapes, this is not your cup of tea. It's on the heavier side for a pen and it feels extremely durable. The glass is also mostly protected by the metal frame. There are two windows that allow you to easily keep an eye on your juice level. Overall, this is a great starter pen and is packed with more features than most vape pens. 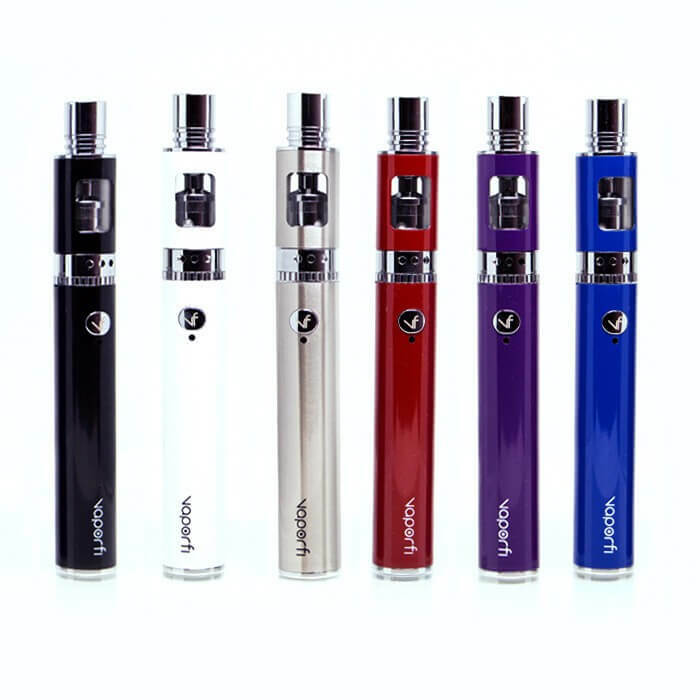 It has a long-lasting 2500mAh battery and a 3.5mL tank. One of the biggest advantages to using this pen vs others is the variable wattage feature. The vast majority of pens don't have variable wattage mode. With variable wattage and dual adjustable airflow, you can customize your draw to your liking. That gives the Rocket 3 a huge leg up on the competition. The tank on this starter kit is pretty good. It has an above average capacity of 3.5mL, which is nice. It'll keep you from having to refill your tank every two seconds like with some other starter pens. The build is very solid, so you won't have to worry about breaking it. The glass is only exposed on two sides, allowing you to peer in to see your e-juice level. Some tanks are glass all the way around and they're easy to break. People buy silicon bands to put around them because breaking them is all too common. That's a big upside to this tank. 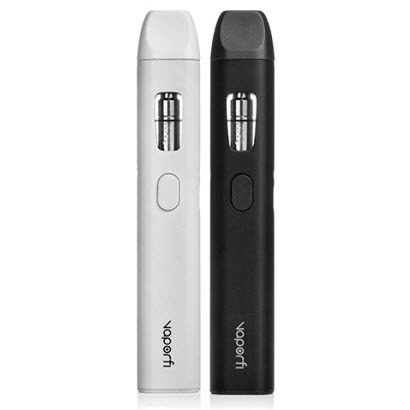 It comes with two coils, a pre-installed 0.5ohm atomizer and an extra Ni200 0.1ohm atomizer. Both of them produce smooth vapor and huge clouds. When using the 0.5ohm atomizer, you'll be vaping in adjustable wattage mode. While using the Ni200 atty, you'll be vaping in temperature control mode. Features like this are usually only found in box mods, which is one of the reasons this pen beats out the competition. The dual adjustable airflow is a huge plus. Given the fact that a lot of the people who buy this pen are relatively new to vaping or are coming over from e-cigs, being able to customize the draw is crucial. If it's your first time vaping, you'll be able to get a satisfying draw by adjusting the setting. Some pens don't allow you to do that, which can ruin the experience and send you back to tobacco. This one does, which is another reason we highly recommend it. The drip tip is my main gripe about the tank. I love everything else about it. It's a nice tip, but it gets gunky easily. I don't know if it's my chapstick's fault or what, but it can catch some gunk. Good thing it's easy and cheap to replace. At 2500mAh, this kit is competing in box mod territory. Most starter pens have less than half of the power of the Rocket 3. If having a long lasting battery is one of your biggest concerns, then you can rest easy knowing that you'll get all day battery life out of this kit. If you vape on the lowest wattage setting (30W), it'll last even longer. The biggest upside to the batter is the variable wattage and temperature control features. Having 2500mAh of power is amazing, but I give the VW and TC features the edge because it allows for creating the perfect draw. Customizing the draw to your liking is a crucial component of your vaping success. That very reason is why this pen is the best. The other features are just icing on the cake. To change the wattage/temperature, you just click the fire button three times. You'll see the indicator light change colors. When it blinks white, you're vaping at 50W or 600F, depending on the coil you have installed. Green indicates 40W or 500F. And red indicates 30W or 400F. The vapor production at each of these intervals will be very different. At lower wattages, you'll get a cooler, denser vapor. The higher you go, the warmer and airier the clouds become. You'll produce a lot more clouds at higher wattages, but you may like the flavor better at lower wattages. At each setting, don't forget to play with the airflow too. How much air you let in has a huge impact on the vapor production. This pen is a great pen for anyone who considers themselves in the beginner to intermediate range. It's our number one recommendation because of the customizable draw, generous tank size, and massive battery life. With the Rocket 3, you'll get a satisfying experience which is what vaping is all about. If you need a pen that will satisfy your cravings and give off pure, flavorful vapors, this is a great choice.